Looking for an excellent dog training school in San Diego? Okay, so you brought home a new furry family member thinking that the training process would be a breeze. Now, you have a half-grown, half trained animal ruling your life and destroying your property. So very often do we hear from frustrated puppy owners who are thinking about giving their new dog away because they are making such a mess. It isn’t uncommon for people to purchase a pup and underestimate the amount of work that it will take to train them. It can be quite disheartening to hear from pet owners who are at their wits end, ready to give up. It has become part of our job to assure desperate pet owners that their dog CAN BE TRAINED and that they shouldn’t lose faith. The reason why so many people have a hard time training their puppy is because very few people are properly educated about how to train a canine. This is something that really gets in the way when pet owners take the DIY approach to dog training. 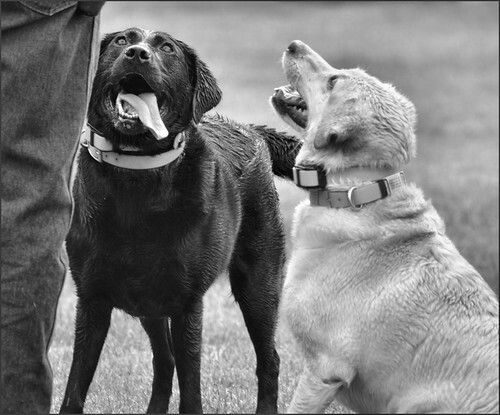 Yes, there are many books out there and training manuals that you can read to help you with the training process,but a dog training school is your best bet. These days, you can even just Google “dog training” and read all sorts of information and theories behind dog training. However, even with these resources, what the average person lacks is experience in actually training a dog. 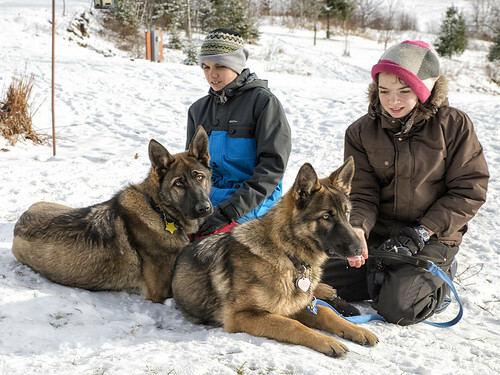 Since each dog is unique and has their own distinct personality, not all training processes will work with every dog. Not to mention when you are dealing with puppies you need to take a different approach than when you are dealing with an older dog. Also, there are all sorts of other factors that come into play, such as frequency of training, constancy in commands and cues as well as environment and how you are re-enforcing good behavior. You probably didn’t realize how complicated training your dog can be! Before you throw in the towel and put your dog out in the doghouse for good please consider signing him/her up for dog training school. Dog training school is where your dog will be trained by professionals who have experience breaking dogs of all breeds, ages and temperaments. Then, once your pet is fully trained we will educate you about proper cues and commands so that you can manage and enjoy your new pet to the fullest. Who provides the best private dog training in Riverside? Did you recently purchase/adopt a puppy or full grown dog who needs some training? Is your new friend’s disobedience making it difficult for you to bond? Very often people purchase or adopt a dog only to discover that the training process is more overwhelming than they initially thought. They may even consider getting rid of the dog because they believe that it will never be trained. If you can relate to this sentiment, we have good news. If you are having a hard time training your pet there are private dog training classes out there. Private dog training classes are ideal for anyone who does not have the time to train their dog. When you hire a professional trainer we focus on obedience and behavior discipline so that you can enjoy your pet. 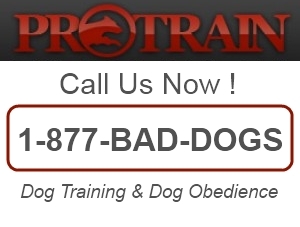 Pro-Train is the most popular private dog training in Riverside! They are a private dog training facility. Whether you require obedience training or protection training, The team at Pro-Train is fully equipped to train your pet. Each Pro-Train trainer is fully certified. All of Pro-Train’s training methods are humane. When your pet is under the care of a Pro-Train qualified trainer, you can rest assured that they are in good hands. Pro-Train’s experts are dog lovers just like you and understand what it takes to care for and properly train a family pet. If you are struggling to train your dog by yourself, it may be a good idea to talk to a professional trainer at Pro-Train. The Pro-Train private dog training program is guaranteed! When you work with our trainers you can know for certain that your dog will be trained, and because of Pro-Train’s fantastic reputation you can feel good about trusting the experts with your new best friend. 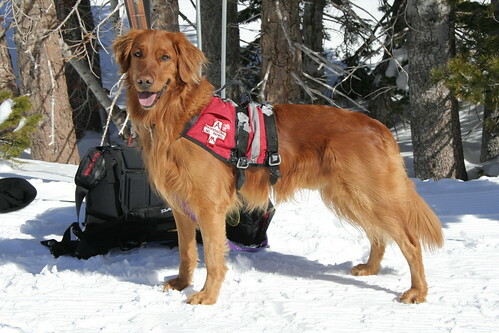 Are you searching for the absolute best Private Dog Training Lessons in North County, CA? With over 40 years experience Pro-Train certified dog trainers will provide the absolute highest quality private dog training lessons you’ll find anywhere in North County and North County, CA! Our private dog training program is professionally and personally customized for you and your dog. What Areas Do We Service In North County? We’re proud to be North County ‘s premier dog training school and service all areas in the city of Rancho Bernardo including: Alpine, Bonita, Bonsall, Borrego Springs, Bostonia, Boulevard, Camp Pendleton, Campo, Cardiff, Cardiff by the Sea, Carlsbad, North County, Coronado, Crest, Del Mar, Descanso, Dulzura, North County, Rancho Bernardo, Escondido, Fallbrook, Guatay, Imperial Beach, Jacumba, Jamul, Julian, La Jolla, La Mesa, Lakeside, Lemon Grove, Leucadia, Lincoln Acres, Mount Laguna, National City, Nestor, Ocean Beach, North County, Olivenhain, Pacific Beach, Pala, Palomar Mountain, Paradise Hills, Pauma Valley, Pine Valley, Potrero, Poway, Rainbow, Ramona, Ranchita, Rancho Bernardo, Rancho Santa FE, North County (County Seat), North County State University, San Luis Rey, Rancho Bernardo, San Ysidro, Santa Ysabel, Santee, Solana Beach, Spring Valley, Tecate, North County, Valley Center, Vista, and Warner Springs. We serve the following cities and zip codes throughout North County, California: 92101, 92102, 92103, 92104, 92105, 92106, 92107, 92108, 92109, 92110, 92111, 92112, 92113, 92114, 92115, 92116, 92117, 92119, 92120, 92121, 92122, 92123, 92124, 92126, 92127, 92128, 92129, 92130, 92131, 92132, 92133, 92134, 92135, 92136, 92137, 92138, 92139, 92140, 92142, 92145, 92147, 92149, 92150, 92152, 92153, 92154, 92155, 92158, 92159, 92160, 92161, 92162, 92163, 92164, 92165, 92166, 92167, 92168, 92169, 92170, 92171, 92172, 92174, 92175, 92176, 92177, 92179, 92182, 92184, 92186, 92187, 92190, 92191, 92192, 92193, 92194, 92195, 92196, 92197, 92198, 92199. You visited the shelter, and you’ve located the perfect dog for your family and lifestyle. … Tips to Make Your Newly Adopted Dog Feel At Home … Do not kiss the dog or show affection before you’ve begun obedience training. Subscribe to get more How to Train your dog videos by K9-1 Specialized Dog Training. You can get further details on how to train your dog to come when called by going to our online dog training site located at http://www.selfhelpdogtraining.com. 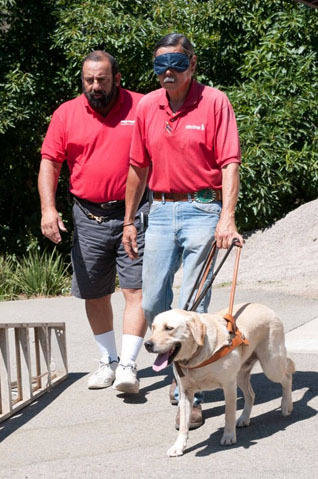 This is part of the first phase out of three for teaching a dog to come on command. Thank you for your support! 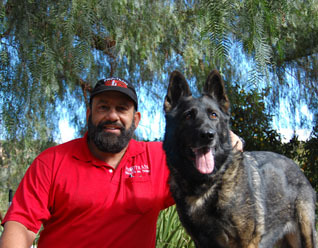 Are you searching for the absolute best Private Dog Trainers in San Diego, CA? With over 40 years experience Pro-Train certified dog trainers will provide the absolute highest quality private dog training lessons you’ll find anywhere in San Diego and San Diego, CA! We’re proud to be San Diego ‘s premier dog training school and service all areas in the city of Rancho Bernardo including: Alpine, Bonita, Bonsall, Borrego Springs, Bostonia, Boulevard, Camp Pendleton, Campo, Cardiff, Cardiff by the Sea, Carlsbad, San Diego, Coronado, Crest, Del Mar, Descanso, Dulzura, San Diego, Rancho Bernardo, Escondido, Fallbrook, Guatay, Imperial Beach, Jacumba, Jamul, Julian, La Jolla, La Mesa, Lakeside, Lemon Grove, Leucadia, Lincoln Acres, Mount Laguna, National City, Nestor, Ocean Beach, San Diego, Olivenhain, Pacific Beach, Pala, Palomar Mountain, Paradise Hills, Pauma Valley, Pine Valley, Potrero, Poway, Rainbow, Ramona, Ranchita, Rancho Bernardo, Rancho Santa FE, San Diego (County Seat), San Diego State University, San Luis Rey, Rancho Bernardo, San Ysidro, Santa Ysabel, Santee, Solana Beach, Spring Valley, Tecate, San Diego, Valley Center, Vista, and Warner Springs. We serve the following cities and zip codes throughout San Diego, California: 92101, 92102, 92103, 92104, 92105, 92106, 92107, 92108, 92109, 92110, 92111, 92112, 92113, 92114, 92115, 92116, 92117, 92119, 92120, 92121, 92122, 92123, 92124, 92126, 92127, 92128, 92129, 92130, 92131, 92132, 92133, 92134, 92135, 92136, 92137, 92138, 92139, 92140, 92142, 92145, 92147, 92149, 92150, 92152, 92153, 92154, 92155, 92158, 92159, 92160, 92161, 92162, 92163, 92164, 92165, 92166, 92167, 92168, 92169, 92170, 92171, 92172, 92174, 92175, 92176, 92177, 92179, 92182, 92184, 92186, 92187, 92190, 92191, 92192, 92193, 92194, 92195, 92196, 92197, 92198, 92199. In 18 states, anyone can become a bounty hunter regardless of education, training, or prior criminal history—hence, Dog the Bounty Hunter.